Join our team at CIY.Club for an engaging 2-day camp which explores a mixture of exciting topics in digital technologies – Website Design and 3D Printing. Website Design: Learn the basics of website design, a widely sought-after skill in today’s tech age! We teach you how to design a website from scratch utilising one of today’s most engaging and popular design systems. After just one day, your website can be fully functional. You can take your website home and continue to develop it. 3D Printing & Design: Learn the basics of three-dimensional design. 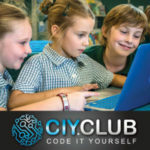 Coders get an exciting opportunity to experience a new technology that is changing the way we view, imagine and interact with the world around us. We show you how to move and stretch shapes into bigger more complex objects. With a few tricks and tips, you will be creating amazing 3D things in just one day! Out of stock! 2 DAY Website Design & 3D Printing $264.00 Little designers get an exciting opportunity to experience a new technology that is changing the way we view, imagine and interact with the world. Learn the basics of 3D design and create a website. 3D printers can now print with 250 different materials, producing things like toys, houses, food, jewellery, cars, clothing, prosthetics and even jet engines are now in reach of our creative fingertips! We show you how to move and stretch shapes into bigger, more complex objects and design a website in 2 fun days. Time: 8.30am - 5.30pm What is provided: Food and drinks, Macbook laptops, materials required and fun coaches. What to bring: Your imagination!